Whether you’re making a to-do list or brainstorming with a team, ideas are bound to change and get moved around. These dry erase sticky notes know that. They use static energy, not glue, to stick to most clean, smooth surfaces. Plus, they’re double sided. One side is a regular, permanent writing surface, the other is dry erase. Dimensions: 3.94" x 2.91" x 1"; 4" x 4" x 1"; 3.97" x 7.87" x 0.84"
Weight: 0.3 lb. ; 0.4 lb. ; 0.6 lb. Love these versatile notes- easy to use and fun colors! Served the purpose for which it was advertised. Magnets didn’t work out well. Very satisfied would recommend to others. Love having a note that will adher to our non-magnetic fridge. And wow, I can wipe off and reuse. Great value! 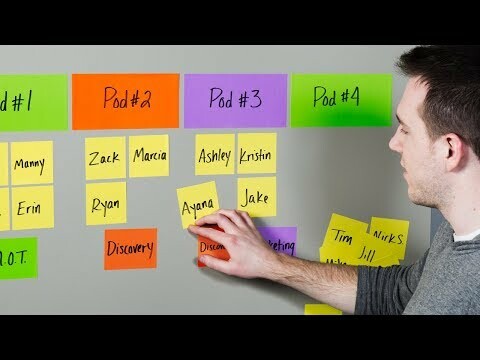 These dry erase sticky notes are electrostatically charged, letting you brainstorm, set reminders, and make notes-to-self easily. 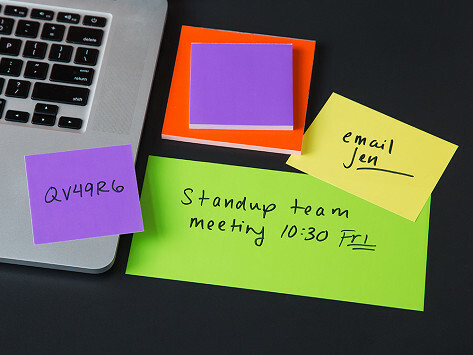 The stickies stick to smooth, clean surfaces (think: whiteboards, glass, metal, wood, plastic, even leather). The notes can slide around and, unlike traditional ones, the sticky-ness won’t wear out. Each note has two sides, too. One is a permanent writing surface and the other is dry erase, so you can reuse it. SlickyNote is a glue-less, double-sided upgrade to the workflow essential.